Alex's first novel, Brixton Rock, was published to critical acclaim in 1999. Five more novels, East of Acre Lane, The Seven Sisters, Island Songs, Checkers, and The Dirty South, followed, all highly praised. 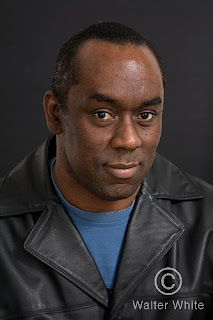 His books are on school reading lists, Alex takes part in Black History Month every year, works with Booktrust and the Children’s Discovery Centre to promote reading. He is representing English PEN. He teaches in various places including Lambeth College, holds workshops in prisons and is frequently invited to schools to speak to students, inspiring in them with his own story a passion for literature. Alex also appears regularly on BBC1’s The One Show and on radio. He wrote and performed his own one-man autobiographical show for Tara Arts, Uprising, and took the performance on tour in October 2012 and in 2013 all over the country. Recently his play, Shame and Scandal, was performed at the Albany Theatre. 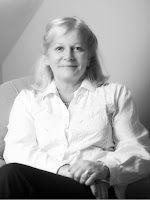 Alex has appeared at and will be appearing at Harrogate Crime Writing Festival, Hay Festival, Bristol Festival of Ideas, Edinburgh Book Festival and of course our own Finchley Literary Festival, amongst others. He is working on a non-fiction book about Black Britain and on more Young Adult novels. He lives with his family in London. 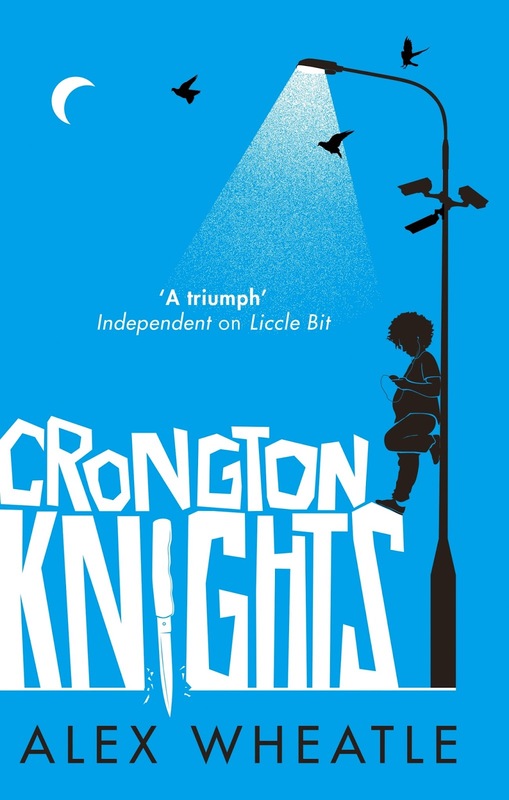 Greenacre Writers are delighted that Alex's last novel Liccle Bit has been nominated for the 2016 CILIP Carnegie medal. This was Alex’s first young adult novel. 'What a gripping tale of family and friends, love and loyalty... Lemar's voice is so strong and I loved the humour in it too.' Malorie Blackman, Children's Laureate. His latest book Crongton Knights, due out 3rd March, is already creating a huge amount of interest. Living on the South Crongton council estate has its worries - and life for McKay has been even tougher since his mum died. His dad has been working all hours to keep the bailiffs from their door. His brother is always out riding the streets at night, tempting trouble. And now, having strayed off his turf on a 'heroic' (if misguided) mission to help out a girl, McKay finds himself facing a friend's crazy ex-boyfriend, some power-tripping hood-rats and a notoriously violent gangster with a vendetta which hits too close to home. Poor McKay. He never asked for trouble . . . But during one madcap night of adventure and danger, he will find out who his true friends are and what it means to stick with your family. We wish the hugely talented Alex much love and luck for the future and are keeping everything crossed for the Carnegie. My journey as a writer began in my mid teens when I used to write lyrics for performances on reggae sound systems. I dreamed of becoming the next Bob Marley, Barrington Levy or Dennis Brown! The discipline I gained from producing something every week for performance moulded and honed me into the writer I am today. From a sound system MC, I progressed to poetry and short stories. I performed my work at poetry jams and venues like the Brixton Brasserie and Under The Arches near Brixton train station. My first novel, Brixton Rock, was published by Black Amber Books in 1999. For the themes in my debut work I used much of my own real lived experiences and those of my friends too. I repeated the trick with my second novel, East of Acre Lane. Primarily, I see my role as a writer to tell a good story and entertain. If within that story I can educate, show readers a narrative and a slice of life that they are unfamiliar with, bring a certain truth to the setting and theme of a story and make people reflect about the characters in my tale that might challenge their preconceived views, I’ll take that as a bonus. I really don’t see myself as any different from the story-telling sound MCs of my youth or the griots of my ancestral past to what I create today. I created Noel in The Dirty South who initially I disliked. He had a foul mouth, was rude to women and could be very violent. As my story developed I became very fond of him. He had aggressive traits but possessed a tender core. He was very loyal to those close to him. In the end he simply craved his mother’s love. 4. Last October, GW organised #diverseauthorday. What has been your experience of writing about diverse characters? The diversity debate has been raging on both sides of the Atlantic with the furore about the Oscars are so white controversy and the writers of colour I know who feel excluded from the major literature festivals within these shores. When I was a kid one of my heroes was Mark Lester who played Oliver Twist in Carol Reed’s multi award-winning film musical. I cried on his low points and cheered on his successes. Although Oliver Twist was white I could totally engage with the character and I was desperate for him to consider myself as his friend. My point is (and this is for any film, drama and fiction gatekeepers out there) all we writers of colour are asking is for you to love, appreciate and value our narratives, themes, characters, heroes and villains as much as we love, value and appreciate yours. I have been very fortunate to have developed ideas for novels in the South of France (a beautiful place called Vauvert near the Carmargue) Jamaica, Washington DC and Miami. I’d love to write somewhere like Hawaii – one because of its people and culture and two because I was a huge fan of Magnum, the series starring Tom Selleck and three because I’d get away every day with wearing Hawaiian shirts, three-quarter pants and sandals! I probably wouldn’t get any work done! The book I’d have loved to have written is Giovanni’s Room by James Baldwin, a phenomenal author and essayist. In fact I’d be extremely proud to have written any of his work. My advice for aspiring novelists is to try and produce something every week – even if it’s a page or so. Develop your discipline not just to create but to edit and improve. My next tip is to write the book that you want to buy – be passionate about your subject matter. I’m working on the 3rd book of the Crongton series. All I can reveal about it is that I nicked the title from a classic 70s pop song! Hester and Harriet, two widowed sisters in their 60’s, will do anything to get out of spending Christmas dinner with their well-meaning cousin George and his wife Isabelle. Their attempts in the past to extricate themselves from Isabelle’s cooking and her penchant for ‘nasties and gluhwein’ have proved unsuccessful due to George’s desire to ensure his cousins do not spend Christmas alone. When they discover a young girl, Daria, and baby Milo, huddled in a nearby bus shelter, it doesn’t take the sisters long to realise that Daria is not waiting for a bus. Not wishing to leave a young girl and baby, with only a bus shelter for sanctuary, they decide take them home. As well as performing a social duty it gives them the perfect excuse to remain in the comfort of their own home on Christmas day. The following day their truculent fifteen-year-old nephew, the son of George and Isabelle, arrives asking for somewhere to stay for a few days to escape his nagging parents. Very soon, Hester and Harriet’s quiet, ordered life, is under threat from their newly acquired lodgers. As the mystery of Daria’s past emerges and strangers scour the village in search of the young girl, Hester and Harriet protect Daria while trying to establish the truth surrounding her circumstances. Meanwhile Ben improves his speech and diction and discovers a flair for cookery - surprising both Hester and Harriet with skills they feared were absent in the teenager. Then there is the local village vagrant, Finbar. An ex-classics master, he has opted for a life of no responsibilities and lives in the bus shelter where Daria and Milo were discovered. His flamboyant nature and his love of Hester’s cooking adds colour to the story. No-nonsense, and sometimes crabby, Hester is a contrast to her more compassionate and diplomatic sister Harriet and Hilary Spiers has done a marvellous job at characterisation to enable the reader to tell them apart: Harriet is a passionate feminist and Hester an ardent cook. One an erratic driver; the other a diligent passenger. The two work well together. 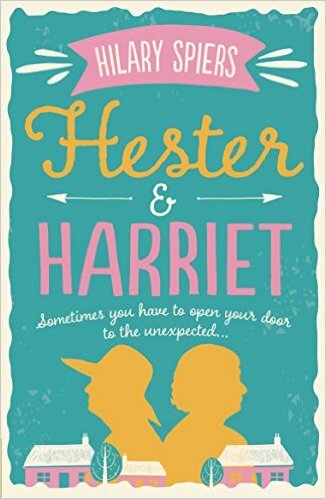 Hester & Harriet is a hugely entertaining novel with wonderful use of language. 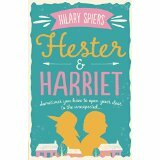 Hilary’s aim, as well as producing an entertaining read is to ‘give ordinary women, particularly older women, their moment in the sun’ and this has certainly been achieved with Hester & Harriet. The two retired sisters are depicted with energy and spirit, plus an abundance of personality, in a humorous and witty way. Their idiosyncratic and slightly eccentric personalities engage the reader in a way that gives the characters strength and credibility. The plot raises the topical issue of immigration as well as teenage mental health, and that of ageing, through interesting and well-rounded characters. The pages almost turn by themselves as the reader is unaware of each passing page through absorption in the story. 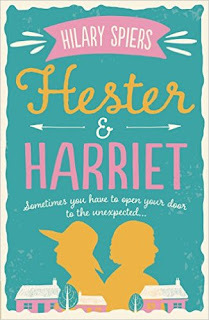 Hester and Harriet are characters that would translate very well to television so it would be no surprise to see them on our screens in the future. We would like to thank Diana Morgan at Ruth KillickPublicity for the review copy. Hilary Spiers has always loved to write and started at a young age with poetry. Her working life, however, has been quite diverse. 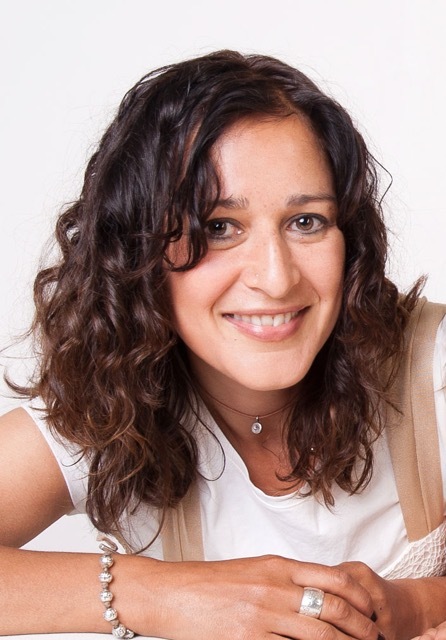 Her career has encompassed law, teaching, speech therapy, the NHS and youth policy while her lifelong interest in the theatre has allowed her to work as an actor, director and playwright. Hilary decided to give up a well-paid job a few years ago to concentrate on her writing career and this change in her life was reinforced after attending a writing course on one of the lovely Greek Islands. Hilary’s literary career comprises a long list of plays, including First Do No Harm, which toured the Midlands in 2014 and Thaw, an extract of which was performed at the Hampstead Theatre, London, and many short stories – several of which have won competitions such as The Times Short Love Story Competition and the Sandi Toksvig’s Writing Challenge. A collection of Hilary’s short stories, The Hour Glass, was published in 2009. Through much of her writing Hilary gives a voice to ordinary women and has done so in her debut novel Hester & Harriet, to be published in March. Hester and Harriet, two widowed sisters in their 60’s, will do anything to get out of spending Christmas dinner with their well-meaning cousin George and his wife Isabelle. Their avoidance tactics over the years have failed to work as George goes out of his way to ensure they are not lonely during the festive season.When they discover a young girl, Daria, and baby Milo, huddled in a nearby bus shelter, they have the perfect excuse. They take them home - allowing the sisters to remain in the comfort of their own surroundings on Christmas day. Then their truculent fifteen-year-old nephew arrives asking for somewhere to stay for a few days to escape his nagging parents and, very soon, Hester and Harriet’s quiet, ordered life, is under threat from their unexpected lodgers as the mystery of Daria’s background unravels and Ben stays longer than planned. We thank Hilary for participating in our Conversation and wish her every success with her new novel and look forward to seeing more of Hester and Harriet in the future. I've always written, always loved words and their infinite possibilities. I wrote excruciating poetry when young (that habit continued into adulthood and I have written poetry – hopefully slightly less excruciating – since); short stories; bits and pieces for performance (I've been involved with the theatre since I was 11). Writing is now my job. Some years ago, I had a 'carpe diem' moment, and my decision to try to carve out a career in writing was strengthened after a week's creative writing course on a Greek island. (The sun, the wine and the excellent company may have had something to do with it too.) I gave up a well-paid job to concentrate on writing, knowing I would have to serve my apprenticeship. Which I have, my few early successes heavily outnumbered by the rejections. But I'm a stubborn body and I kept on going. I hope my role is that of an entertainer, someone who can bring a smile, if not a laugh, to a reader or a theatregoer, while at the same time engaging them in a satisfying story. Nothing beats seeing someone smile or hear them laugh at something you've written. Although making them cry comes a close second. That's not to say I write only comedy – far from it – but it's human nature to seek out those pockets of relief –- whether prompted by delight or shock – in the midst of the darkest tale and I see it as part of a writer's role to facilitate those moments. Provided, of course, they don't hold up the action. Part of my writing mission (indeed a very large part) is to give ordinary women, particularly older women, their moment in the sun. There are frequent and increasingly high-profile complaints that as women age, they become invisible. Well, not in my writing they don't! Hester and Harriet may be mature women, but they meet life head-on, they have huge reserves of experience and wisdom to call on, and they brook no nonsense. I love every moment I spend in their company, vicariously enjoying their boldness and spirit. That's an interesting question! (Later ... after a strong black coffee ...) I'm not sure I dislike any of my characters. I've certainly created dislikeable characters, with deeply flawed personalities, whom I doubt I or anyone else would wish to meet in real life, but they are often very entertaining (in a sort of shock-horror sense) and wonderful sources of conflict. So I suppose I would have to say I relish those kinds of characters because they often serve to ratchet up the tension or create problems for my two doughty sisters to overcome. The short answer is no, but I think things are improving. The world gets smaller by the day: the internet and social media bring us all into closer and closer contact with one another. At the same time, the deluge of images sometimes appears to dull our responses, to make us less able to empathise with people from different cultures and with different belief systems. The refugee crisis in Europe has brought these issues into stark and disturbing focus this past year. While some people, goaded if not supported by the media, defend their views and/or prejudices with ever greater stridency (yes, Mr Trump, I mean you), fiction can shine a powerful light on unfamiliar cultures and encourage us to stand in other people's shoes and see the world through their eyes. When the abstract becomes the personal (as it does for Hester and Harriet), attitudes change. Another teaser! Could I take my family, my friends, my computer, my cat and my coffee machine with me? I like to know I have all those to hand before I hunker down with my work. In the present drear weather, could we all be whisked off to somewhere warm – both in weather and welcome – like Raratonga in the Cook Islands, a paradise we visited at the end of a five month adventure in New Zealand some years back? I'd write, swim (my favourite way of unknotting a plot problem), write some more and then enjoy a fantastic meal under the stars with my nearest and dearest. Everybody says this but it's true: don't give up. If you really want and need to write, write. Write every day: a chapter, a paragraph, a sentence. Read your work aloud. Learn to appreciate the positive things about your work that agents and editors pick out and not light immediately on the negative (easier to say than do). Surround yourself with critical but supportive readers and listen to their comments. Don't be precious: your editor has read and developed hundreds of books – they know what they are talking about. Live in hope. I've just completed the second draft of the sequel to Hester & Harriet, where the sisters embark on a life-changing holiday, blissfully unaware of some disturbing shenanigans going on at home in their absence. I've also recently finished two plays (one full length and one one-acter) and am currently working on a third. When Harper was five her parents split up. Dad kept Ivy Cottage in the sleepy village of Hardingstone where ‘people walk without aim, as if the footpaths are covered in treacle’. Mum got Harper and the Mini. Harper is now on the brink of becoming a teenager. She lives with her mum and spends alternate weekends with her dad. The two worlds she inhabits are very different. The highlight of a weekend with Dad is attending the village fete and winning some of Mrs Curtis’ gooseberry jam or attending the Lone Rangers Disco for one parent families. At Ivy Cottage there is no TV, very little food in the fridge and Harper is encouraged to read interesting books. The friends that she had when she lived there have dropped off the radar over time. In contrast, life with Mum is much freer. Harper watches as much TV as she wants, reads teenage fiction, speaks her mind and vets prospective stepdads. She spends time with her good friend Cassie and the neighbour’s son Derek, who occasionally ‘babysits’ her when Mum goes out on a date. Meanwhile, Mum’s latest boyfriend, Kit, moves in. 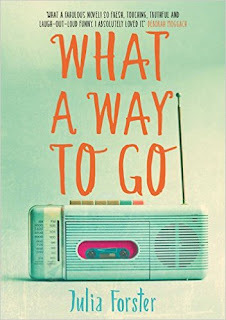 The novel follows Harper as she tackles the challenges of growing up and the prospect of boyfriends, while having to fit in with her parents as they expand their own lives and relationships. Julia Forster has captured the voice of Harper brilliantly. As an only child, dealing not only with her own issues from the divorce, but those of her parents too, Harper has been forced to grow up very quickly, resulting in a level of maturity absent in most twelve year olds. However, there are subtle references that reinforce her true age: After vetting one of her mum’s boyfriends she tells us that she liked Alfonso “because he could make thick pancakes in the shape of gerbils'. Her vulnerability is also apparent when dealing with adult issues. When she discovers her mum’s boyfriend, Kit, has a secret she is unsure whether she should tell her mum and recruits the help of a friend for a second opinion. Harper is very likeable and not at all the stereotypical whinging, recalcitrant, soon-to-be-teenager. She is well balanced, despite the very different parenting approaches, as both parents make it clear that she is loved – and she knows this. For most parents there comes a time when they discover their children have interesting conversation and find it a pleasure to sit around the dinner table and listen to their views of the world. This is the case with Harper. She is amusing and engaging. I enjoyed her company. 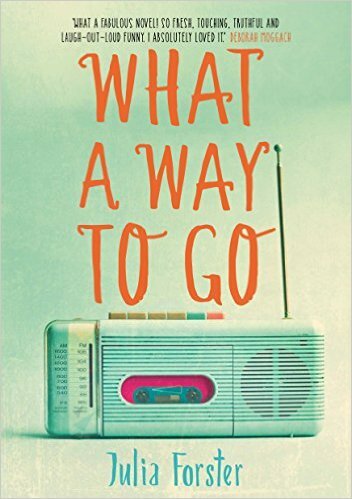 What A Way To Go is a character driven novel which moves at a good, steady pace. It tells Harper’s story in a moving and sensitive way, packed with humour, wit and insight. References to polka dot clothes, music magazines such as Smash Hits and UCCA forms immerse you in the 1980’s. Julia has done a fantastic job at providing a very entertaining read. Sanjida Kay is a writer and TV presenter. She has had eight books published and written under her own name of Sanjida O’Connell. Her first four novels are Theory of Mind, Angel Bird (published by Black Swan), The Naked Name of Love and Sugar Island (published by Random House). Sanjida has been shortlisted for the Betty Trask Award for Romantic Fiction, the Asian Literary Award, the Daily Telegraph Young Science Writer’s Award, BBC Magazine’s Poetry competition and Asian Woman of the Year. Sanjida presents wildlife programmes and used to direct science documentaries for the BBC, including BBC2s flagship science strand, Horizon. She trained as a zoologist and studied chimpanzees for her PhD. Like many authors, Sanjida like’s to research her novels and particularly the locations where they are set. This has meant she’s had some escapades. Like the time when she was writing The Naked Name of Love and lived in a converted potato shed near Cork; whilst out running she got lost! This was nothing though compared to turning up in Outer Mongolia with no luggage (it had gone to Russia!). 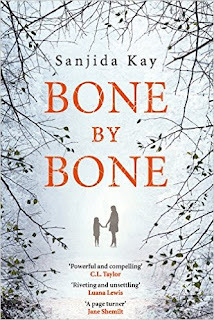 Her latest book is Bone by Bone, under the thriller-writing name of Sanjida Kay is published by Corvus Books. Laura is making a fresh start. Newly divorced and relocated to Bristol, she is carving a new life for herself and her nine-year-old daughter, Autumn. But things aren't going as well as she hoped. Autumn’s sweet nature and artistic bent are making her a target for bullies. When Autumn fails to return home from school one day Laura goes looking for her and happens upon a crowd of older children taunting her little girl. In the heat of the moment, Laura is overcome with rage and makes one terrible mistake. A mistake that will have devastating consequences for her and her daughter. Selected by Jake Kerridge, Sunday Express, as a Thriller you won’t want to miss in 2016. We’d like to thank Sanjida for her conversation with Greenacre Writers and wish her every success with her debut thriller. When I was five years old I decided I wanted to be a writer and a zoologist! I had my first poem published when I was 11 and my first novel, Theory of Mind, came out when I was in my early twenties, just after I finished my PhD in zoology. Those achievements were a lot harder than I’ve made it sound since a) I had to pass ‘A’ Level chemistry, b) learn how to spell, and c) write books without any training other than ‘O’ Level English. I went on to publish four novels and four works of non-fiction. My last two novels, The Naked Name of Love, and Sugar Island, were literary and historical. And my spelling improved. Then I had a baby and a re-think. Having a break from writing allowed me to reassess my craft and the way that the publishing industry had changed. I couldn’t travel much further than my local park, much less Outer Mongolia, and I didn’t have the time or energy to spend months researching the 1800s. So I changed my surname to Kay and wrote a thriller called, Bone by Bone, which is set in Bristol where I live. What I love most about being a writer is getting inside someone else’s head and imagining the world the way they experience it. I relish trying to create the perfect description too - sense of place and how things look and smell is important to me as I hope to transport the reader to another space and time. Now that I’m writing thrillers, I’m conscious of how I’d like the reader to feel. I’m interested in issues - race, the environment and the natural world - but although there’s normally a theme going on in my work, I don’t want the message to leap up and hit you on the head. In Bone by Bone, I wouldn’t want any of the characters as a friend. I empathise with all of them though, including the boy who bullies my protagonist, nine-year-old Autumn Wild. I like my main character, Laura, who’s Autumn’s mother, but she’s lonely, vulnerable, isolated and lacks confidence. I think we’ve all felt like that from time to time and it’s both sad and hard to see someone who is struggling with life because they’re unconfident. 4. Last year, GW organised #diverseauthorday: do you think literature accurately reflects the diversity of culture we have today? It’s great that Greenacre Writers and writers like Nikesh Shukla @nikeshukla, support diversity in literature. I think it’s lacking. I’m mixed race and I rarely see my experience portrayed in the books I’m reading. In psychological thrillers, which are very middle-class, the majority of authors and characters within them are white. I include racial diversity and prejudice in my novels as standard - rather than writing stories that are solely about race. I wish I was somewhere hot right now, with glorious, white sandy beaches! I think Ireland would suit me much better though. I’m half Irish and I love the wild, windswept landscape and the tall tales of faeries and giants, not to mention the culture of spinning yarns in the pub! It would be the perfect place to write another dark thriller. I wish I’d written Gone Girl, by Gillian Flynn. Obviously, I dream about being a rich and famous author, but the plot is incredible, the characters Machiavellian and the prose is pitch-perfect for this kind of thriller. Flynn’s previous novel, Sharp Objects, doesn’t have such a rollercoaster plot, but it’s much edgier with a searing twist; perfect Southern gothic-noir. Writing is like any skill, you need to practise. No one believes you can be a virtuoso pianist without putting in the hours, and writing is no different. If you can, aim to write every day, even if it’s only for half an hour. Read widely and all the time and find people you trust to give you constructive feedback. I’m writing a second psychological thriller for Corvus Books. It’s provisionally called, ‘The Stolen Child.’ It’s about a couple, Zoe and Ollie, who are desperate to have a child. They adopt a little girl called Evie. When Evie turns seven, she gets a letter from a man claiming to be her father. And now he says he wants her back. It’s set in West Yorkshire, on Ilkley moor. I spent a large portion of my childhood living on either side of this moor, wandering across the heath and dreaming of the Brontës, so there’s a Wuthering Heights, theme too. 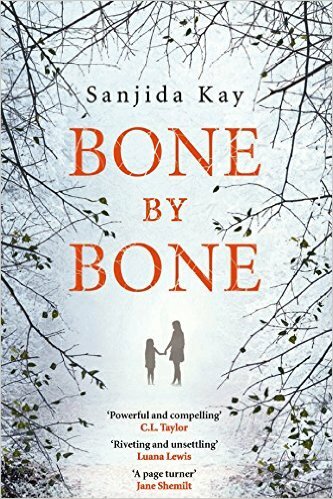 Psychological thriller, Bone by Bone, by Sanjida Kay, published by Corvus Books. Out 3.3.2016.